MedMen has agreed to United Food and Commercial Workers (UFCW) representation at all retail locations in both California and New York and all factories in New York. This is the latest milestone in a growing partnership that began between MedMen and UFCW Local 770 in Los Angeles last year. Benefits under the new partnership include higher than minimum wage pay (nearly $3 above minimum wage in California and New York), two-weeks of vacation, a 40 percent employee discount, 10 recognized holidays off, and time-and-a-half pay for anyone working on a holiday. MedMen guarantees 40 hours of work for full-time staff members and 20 hours for part-time. The Company also provides fully paid benefits for eligible employees, including those who work part-time. 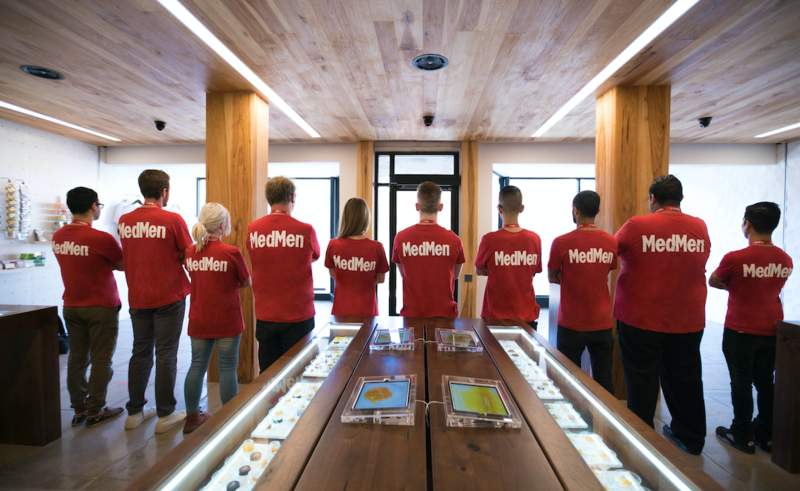 Additionally, MedMen has implemented a bonus incentive program based on a team approach – if a store hits its individual sales goal for the month, every member of the team receives a percentage of their earnings as a bonus. Since 2010, UFCW has represented cannabis workers throughout the country from cultivation and manufacturing to processing, testing, and retail sales. Their vision of creating a sustainable and well regulated industry closely aligns with MedMen’s own core values that center around building safer, healthier, and happier communities. In addition to cannabis, UFCW also organizes around other major industries, including grocery and retail. Its 1.3 million members nationwide are entitled to benefits related to healthcare, wellness, retirement, and education.